An 11,000-square-foot home in Santa Monica, Calif., has hit the market for $22 million, according to listing agent Billy Rose, president and co-founder of real-estate firm the Agency. It’s owned by a partnership led by designer and developer Elaine Culotti. An 11,000-square-foot home in Santa Monica, Calif., has hit the market for $22 million, according to listing agent Billy Rose, president and co-founder of real estate firm the Agency. Built in 1926, the house overlooks a golf course and is walking distance from the beach. The partnership bought the home for $7.7 million in 2010 from the estate of Kathryn Grayson, a Hollywood actress who lived in the home from the 1940s until her death in 2010. Ms. Culotti renovated the six-bedroom, eight-bathroom home, retaining its oak paneling, rounded archways and handcrafted windows. She also worked with several designers, including Ralph Pucci and Sami Hayek, to add modern touches such as chain and crystal chandeliers. The property, now named La Mesa Landmark Estate, also has a two-bedroom guesthouse, a home theater and a professional recording studio on its top floor. The great room has a Lucite Schimmel piano. Listing Broker Mr. Rose says Ms. Culotti always planned to sell the home after she renovated and redesigned it. Mauricio Umansky and Susan Pekich, also of the Agency, share the listing. 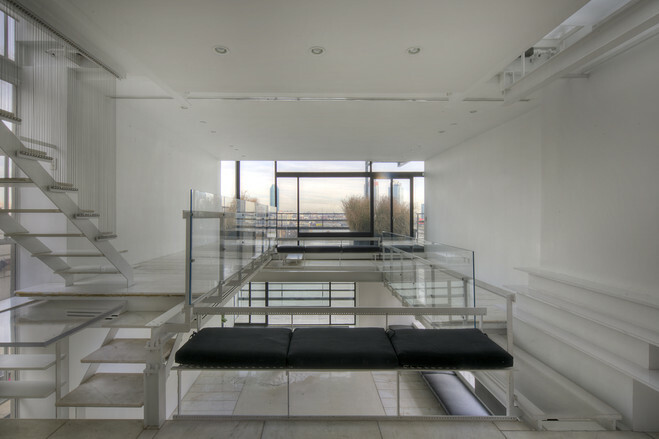 The former Manhattan townhouse of midcentury architect Paul Rudolph has listed for $27 million. The 9,000-square-foot Upper East Side home, which currently is divided into four units, was originally built in 1860. Mr. Rudolph lived there from 1961 until 1982. In the late 1970s, he added a cantilevered 4,000-square-foot penthouse made of steel beams, concrete and glass panels. New York City’s Landmarks Preservation Commission made the home a landmark in 2010 for its juxtaposition of old and new architecture. 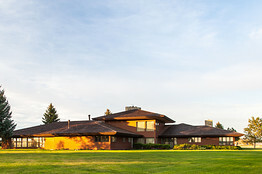 The townhome’s current owners, who purchased under Ruppert LLC, bought the property in 2003. A year later, they renovated the exterior and the penthouse kitchen but “stayed true to the original design,” says Leslie Hirsch, one of the listing agents. The townhome has two two-bedroom apartments, a large one-bedroom apartment with two bathrooms and the penthouse, which has three bedrooms. 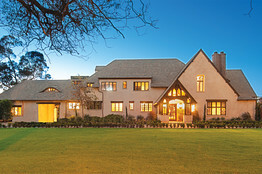 Ms. Hirsch and Howard Morrel, both of Brown Harris Stevens, have the exclusive listing. Patricia Gucci, daughter of Italian fashion magnate Aldo Gucci, has listed her 11,000-square-foot estate in Mountain Center, Calif., for $9 million. Called Casa Azzurra, the 23-acre property is in the San Jacinto Mountains. Called Casa Azzurra, the 23-acre property is in the San Jacinto Mountains and has views of Coachella Valley and three of Southern California’s highest peaks. 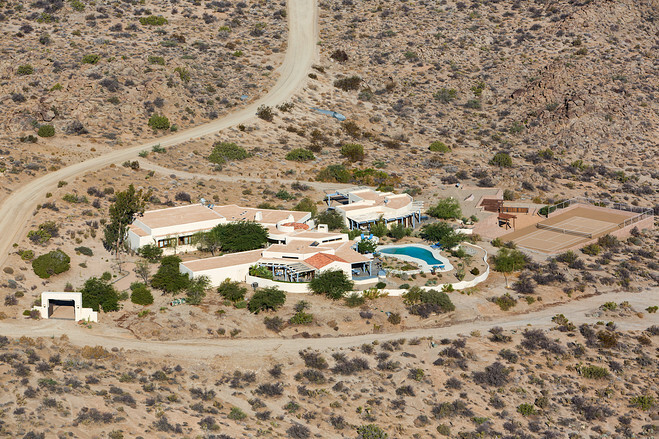 The Moroccan-style home has 10 bedrooms, 10 bathrooms, a library and a movie theater. There’s also a tennis court, a guesthouse and a pool on the property, which is about a 15-minute drive to Palm Desert. Ms. Gucci, who is based in Switzerland, says she is selling because she lives too far away to enjoy the home: “My life and family are in Europe now, and I no longer have time to enjoy this little corner of paradise.” According to public records, she bought it through a trust in 1993 for $950,000, although she added acreage to it over the years. Jane Dorian and Richard Bartholomew of Partners Trust Real Estate in Los Angeles and Rancho Mirage, respectively, have the listing. Billionaire Stan Kroenke has bought a roughly 124,000-acre ranch near Augusta, Mont., owned by the estate of William and Desiree Moore, the late co-founders of Kelly-Moore Paints. The ranch was put on the market for $132.5 million last December, after Mrs. Moore died in 2010. Mr. Moore died six years earlier. Billionaire Stan Kroenke has bought a roughly 124,000-acre ranch called the Broken O Ranch near Augusta, Mont. Called the Broken O Ranch, the property lies about 35 miles northwest of Great Falls. 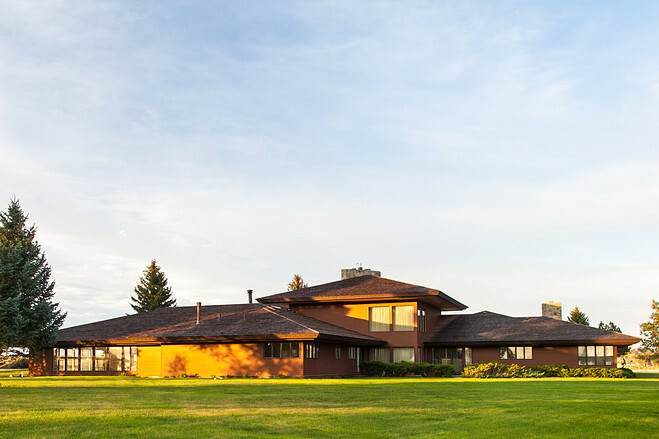 The ranch has a 10,000-square-foot main home, an indoor swimming pool and about 25 guest and staff houses. It is also home to roughly 4,500 cattle and the largest irrigated farm in the state. heiress Ann Walton Kroenke, was ranked 10th in this year’s Land Report 100, a ranking of the 100 largest landowners in the U.S.
Michael Swan of Bates Sanders Swan Land Co. in Bozeman, Mont., represented the sellers and Joel Leadbetter of Hall Hall represented the buyer.